UC Berkeley Surplus holds a weekly auction for items that are no longer needed by campus. 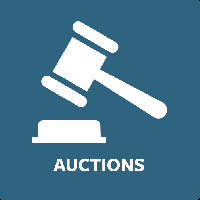 Bidders must register in person prior to their first time bidding. The auction opens Wednesday at 2 p.m. and ends the next day at 10 a.m. The auction is at 3200 Regatta Blvd, Ste. E, Richmond, CA 94804. For more information, visit our site at property.berkeley.edu. Or call 510-642-1186.